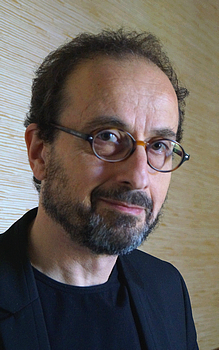 Philippe Moati’s main research focuses on the observation and the understanding of the mutations of the current capitalism, from an evolutionist and institutionalist perspective. He published about the methodology of sectorial dynamics studies. He is a specialist of the retail industry. His recent works are focused on the transformation of the mass consumption model and the emergence of a new consumption model centred on the production of useful effects, potentially compatible with the ecological challenges. Moati Ph. (2016), La société malade de l’hyperconsommation, Paris, Odile Jacob. Moati Ph. (2013), Representations and Industry Dynamics. An Analytical Framework and Its Application to the Retail Sector, Revue d’économie industrielle, 142, 2, 147-186. Moati Ph. (2011), La nouvelle révolution commerciale, Paris, Odile Jacob. Moati Ph. (2009), Cette crise est aussi celle de la consommation, Les Temps Modernes, 655, 4, 145-169. Moati Ph. (2008), L’économie des bouquets. Les marchés de solutions dans le nouveau capitalisme, La Tour d’Aigues, Editions de l’Aube.